Chocology Unlimited | Chocology Today tagged "Johnny Depp"
Everyone loves chocolate. This is evident in both movies and television. We thought it would be fun to relive some of our favorite scenes together in this weeks Chocology blog. Disclaimer: These video clips may prompt uncontrollable cravings for chocolate! One of the most famous (and hilarious) scenes of all time involving chocolate has to be the scene in the I Love Lucy series, where Lucy and Ethel get jobs in a chocolate factory. And what about that famous line in Forest Gump? Do you remember it? If not, here’s a refresher: [youtube https://www.youtube.com/watch?v=CJh59vZ8ccc&w=560&h=315] Remember when Johnny Depp licks his fingers after Juliette Binoche guesses his favorite chocolate in the movie Chocolat? Just about any scene from this movie could be included here, but we thought this one was pretty good. [youtube https://www.youtube.com/watch?v=PhkCGApLP30&w=560&h=315] On this episode of Friends, things get a bit out of hand when Monica tries to impress her neighbors by making candy. [youtube https://www.youtube.com/watch?v=Ou76DXq57MI&w=420&h=315] We hope you enjoyed these clips. Chocolate is so universal that even the movie makers like to include it in their story lines. Check out Rotten Tomatoes for more chocolate covered movie themes. We probably could have included countless others in our collection here, but we want to hear from you! What is your favorite chocolate scene from a movie or television show? We’d love to know what it is! Share it with us in the comments section or on Facebook. Who knows? We might include it in an upcoming blog post! 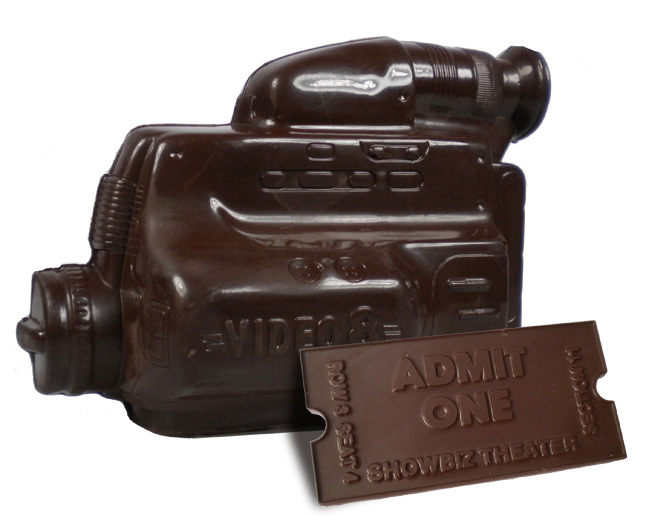 And don't forget to check out our website for some delectible chocolates you might enjoy at your next movie night!